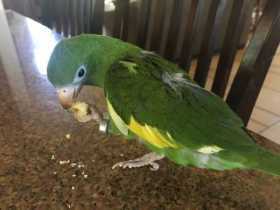 Very friendly, loud, small green bird with yellow along edge of wings. Great flyer. Lost in Plano, TX area on 3/28/19.